They premiered in the Huesca-Atlético. Mollejo is the first born in the XXI century that plays with Atleti. This season four boys have already debuted. Time Simeone to five canteranos on the bench of El Alcoraz and pulled them to close the Huesca-Atlético. In the 71st minute, the coach gave entrance to Mollejo, with the 40 to the back, that had its official premiere with the first team. He is the first soccer player born in the 21st century (he was born on January 21, 2001) who plays in official match with Atlético. In First, Barrenetxea (Real Sociedad) and Bryan (Sevilla) achieved it before him. In the 90th minute it was Joaquín's turn, with the number 47. With them, Simeone has already made debut to 25 canteranos. Mollejo alternates between the Youth and the branch of Second B, and often trains with the majors. In fact, Simeone has already taken him to the dos last preseason. In the last, even scored a gol PSG in Singapore, also otro Arsenal in the final penalty shootout. He is one of the soccer players in whom more hopes are placed of the Academy. In Huesca was about to do it with a personal play in the 86 'that ended in a corner. Joaquin was a key piece in the triplet of the Juvenile last season. A 19-year-old skilful and with a lot of impudence, who overflows and shoots. He also left big samples of his talent in the preseason, like that gol to Stuttgart. Now he is one of the leaders of the Atletico B. After sitting nine times in the bench of the majors, in Huesca had minutes. Además, they are already cuatro boys from the quarry that are premiered this season with the first team. Against Eibar, in September, Borja Garcés ended with tremendous success: he played 19 minutes and scored. In the Cup, Montero did it and Cholo has continued to trust him, having played in nine games (417 ') between Liga, Copa and Champions. In addition to them, they played Toni Moya and Carlos Isaac, but they had debuted last year. On the bench have been, without premiere, Solano, Tachi and Dos Santos. The last course, in addition to the aforementioned Carlos Isaac and Moya, had its long-term Sergi and Arona. And in the previous, thanks to the Cup, they could debut Caio, Rober, Juan Moreno, Olabe and Keidi. 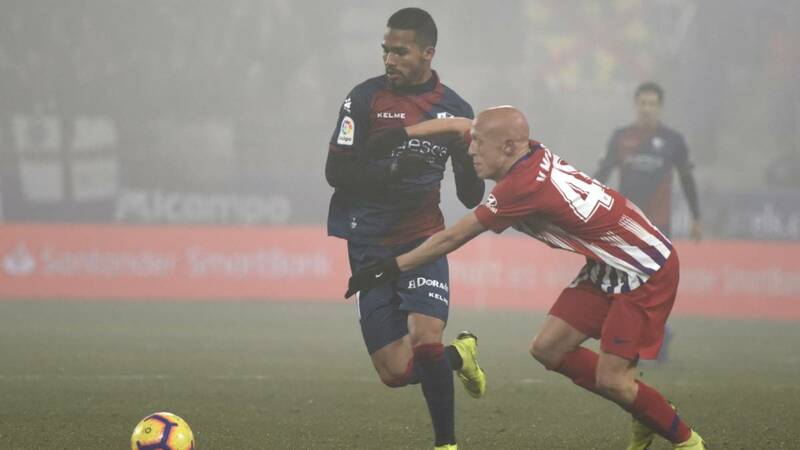 In the 2015-16 had an opportunity Monsalve and the other debutant is one of the important pieces of this team: Thomas, which already knew the First, but not with the Atleti. In the 2014-15 appeared Lucas Hernández, like a fast central that could play of lateral. Four years later, these virtues and others have made him indispensable. He debuted in the first leg against L'Hospitalet; in the return they did Iván Pérez and Keita. In 2013-14, against Sant Andreu, the same rival as this season, Héctor Hernández and Carlos Ramos showed. And in the previous one, the first complete for Simeone, who appeared were three: on the first day, Óliver and Kader; in the last one, Dani Aquino. The first canterano of this string of 25 is now a continental star: Saúl Ñíguez. The Elche had his first minutes in the Europa League, against Besiktas, on March 8 of 2012. In the following campaign it counted in some matches more and for the 13-14 it was yielded to the Ray, where its performance was shot.